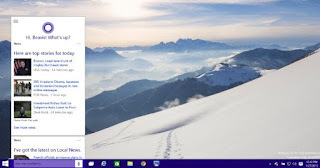 If you are new to Windows 10, it's possible you might not know that the native Microsoft Internet explorer still exists, and just in case you still wish to have your internet explorer back on game, this post will guide you on how to find the Windows 10 internet explorer anytime. Saying Hey Cortana, open internet explorer (for PCs that allows voice commands or Cortana enabled). Typing Internet explorer into the search box. Type Internet explorer into the Cortana / search box. Right-click the internet explorer in the search window. Click Pin to start to add the Microsoft internet explorer as a tile on the start menu. Click Pin to Taskbar to place it on your taskbar. Now you can have your internet explorer a fingertip away. Click here for more Windows 10 Tips.